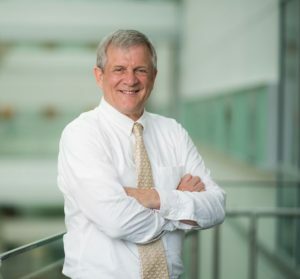 Diabetes and obesity researcher Charles Burant, M.D., Ph.D., has been named director of the A. Alfred Taubman Medical Research Institute at Michigan Medicine. He succeeds Eva L. Feldman, M.D., Ph.D., who has served as director since the institute was founded in 2007 with a gift from the late philanthropist A. Alfred Taubman. Its mission is to enhance the support of physician-researchers at the University of Michigan through financial grants, mentoring programs and a collaborative community of Taubman Scholars. “I’m thrilled to take the institute into its second decade,” said Burant. “I’m especially honored to be following my friend and mentor Eva Feldman in this position. As founding director of the institute, Dr. Feldman has built a world-class center that has helped multiple clinician-investigators in a critical stage of their careers, and led to discoveries that already are making a difference in people’s lives.